This amazingly detailed 3D DIY model starts as two 10cm square steel sheets and finishes as a stunning 3D model. Use the easy to follow instructions to pop out the pieces, bend the tabs and connect them at the attachment points. 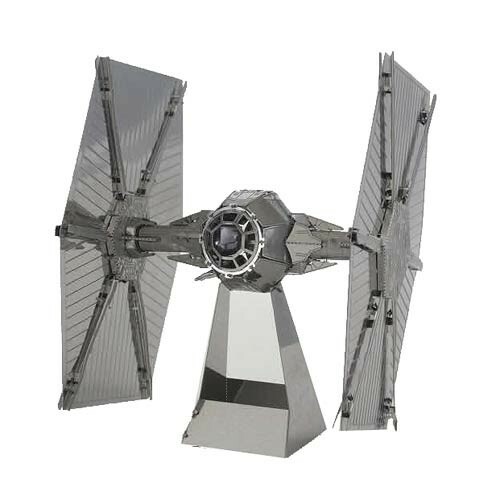 Your very own Tie Fighter!